JR Member Brendon Jennings receiving his JR Membership Patch 3-15-15 Brendon is also a Naval Sea Cadet with the Michigan Commanders Battalion. We welcome you! 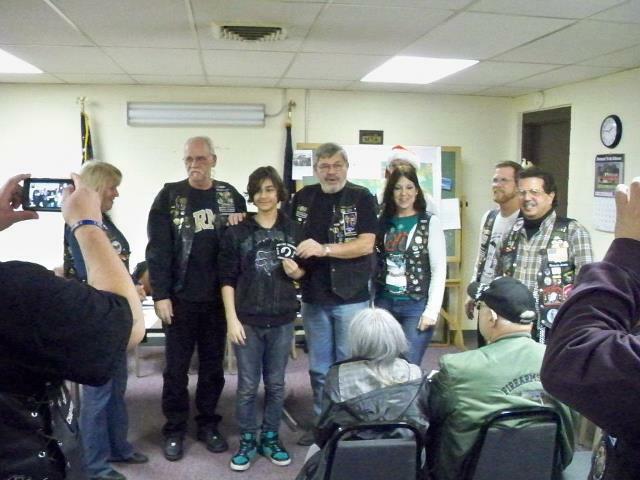 Congratulations to Dakota Cook on becoming a JR Member during our membership on April 21, 2013 We thank you! 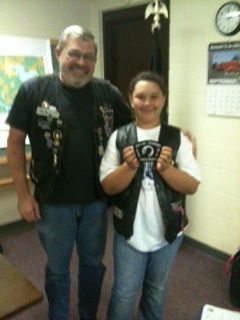 Congratulations to Amber Bravebull accepting her JR Membership Patch from our Chapter President Jerry Langhann. Great work Amber! Thank You for all your support during our chapter events and we know all the Veterans appreciate it as well. Keep up the good work!